In Microsoft Outlook, each of the windows where you enter content — for example, a new email message or a new calendar appointment—is called an Outlook form. These default forms are stored in the Standard Forms Library for Outlook. There are additional libraries as well, including Personal Forms and Organizational Forms if you have an Exchange Account. Each folder within the Outlook hierarchy has a default Outlook form associated with it. As you would expect, a mail folder such as your Inbox has the Message form as the default, and the Contacts folder opens the Contact form as its default. When archiving MS Exchange content, the contentACCESS MS Outlook forms are used to open an HTML shortcut – which replaces the archived email message – transparently with the original email message. If the forms are installed, then the end user will not notice any change between the original email and the archived (shortcutted) one. There are 3 contentACCESS Outlook forms available. For the correct functionality all these forms must be installed. CA_F_techarrow.oft – is used to transparently open the forwarded archive messages from the mailbox. 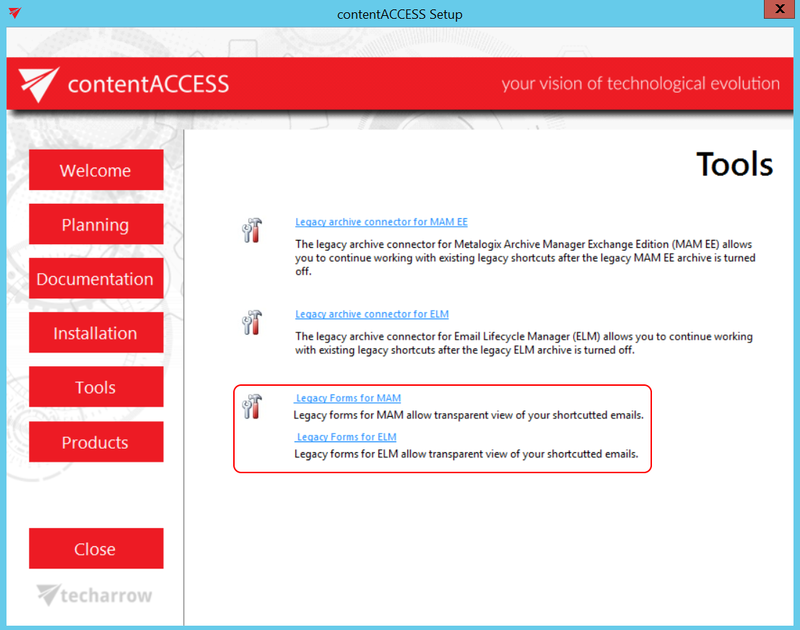 There are also available contentACCESS Outlook forms for legacy archives (both MAM and ELM). 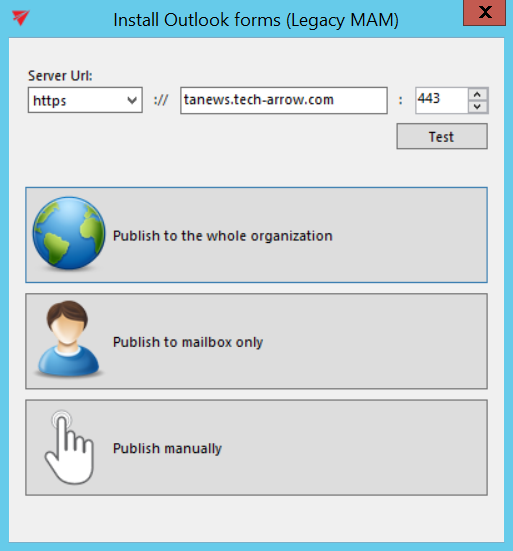 Installations of Outlook forms and Outlook forms for legacy archives are very similar, differences are explained below. To install Outlook forms, open the Tools section in the contentACCESS installation wizard => click the Outlook forms option. 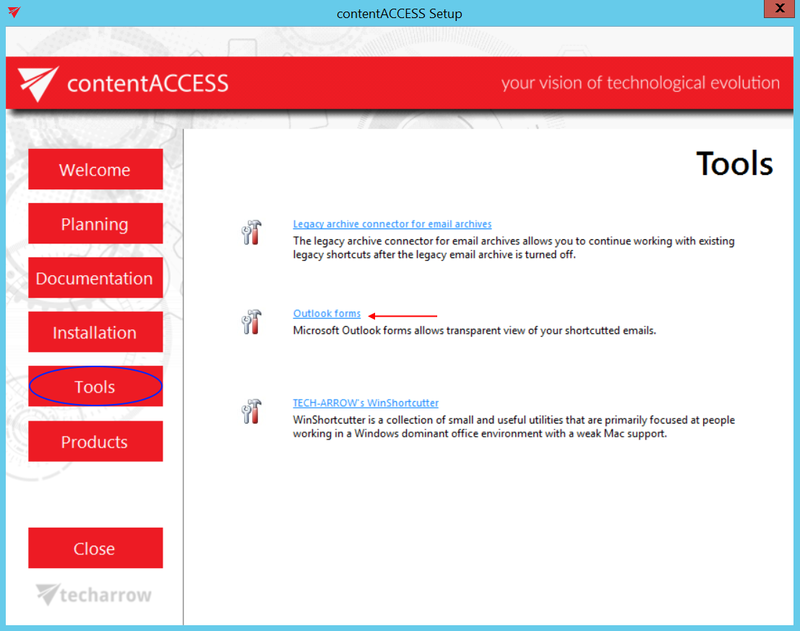 To install Outlook forms for legacy archives, open the Tools section in the contentACCESS installation wizard => click Legacy archive connector for email archives option. Then click on Legacy forms for MAM or Legacy forms for ELM (depends on what you are using). First the administrator needs to set the contentACCESS retrieve server (contentACCESS Proxy) URL. This option allows to install the forms for HTTP and HTTPS Proxy, too. 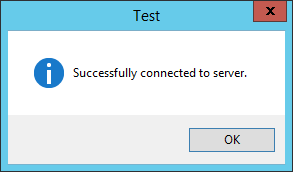 It is also recommended to test the connection with the server. The application simplifies the Outlook form publishing by providing an automated way for publishing. The application allows automatic publishing of the forms to the Organization forms library but also publishing the forms into the user’s Personal forms library. Publish to the whole organization (Organizational forms library) – this is the recommended method, because the forms must be published once and will be available for the whole organization. Publish to mailbox only (Personal forms library) – if it’s not allowed to publish to Organizational forms library (Office 365 doesn’t have Organizational forms library), then this option is used. 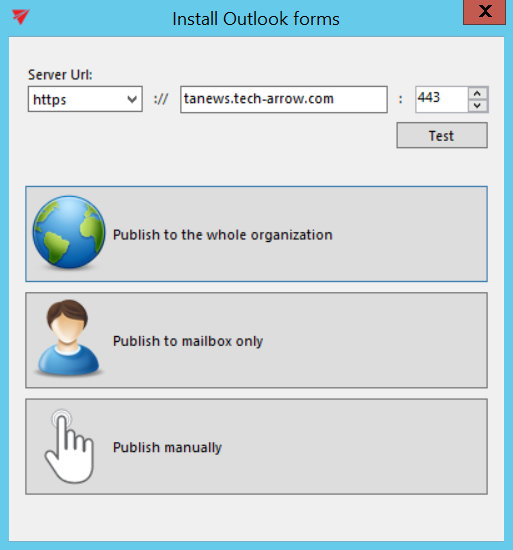 Publish manually: you need to select a folder, where the forms will be exported together with the link pointing to the Outlook forms installation manual. Once exported, the folder will be opened and you can deploy the forms using the steps described in the manual (click to get the link to the manual). Important!!! Outlook 2013 users will have access to the Organizational forms library but cannot publish to it using Publish custom forms. Publish the Forms to your Personal Forms Library and then use the Outlook Options ⇒ Advanced ⇒ Developers group ⇒ Custom Forms… ⇒ Manage Forms functionality to copy the form from Personal Forms to Organizational Forms.